The women’s basketball team kickstarted their season with a dominant win over Lake Forest College. The win also marked head coach Carissa Sain’s 100th career win. Despite a very even first 15 minutes, the Maroons pulled away by the half and ended up winning by an 18-point margin. The women’s team followed this up with a narrow 77–76 win over Illinois Wesleyan. The team’s dominant break from being up 17–15 in the first quarter was boosted by a well-rounded team effort. Offensively, third-year Taylor Lake led the team with 15 points, nine rebounds, four steals, and two assists, and fourth-year Jamie Kockenmeister was right behind her with 14 points and seven rebounds. Third-year Mia Farrell was also a force with 11 points and five rebounds. Balancing out the offensive force of 24 points in the second quarter, defense held the Foresters to just nine points in that same period to allow the Maroons to take a dominating lead. 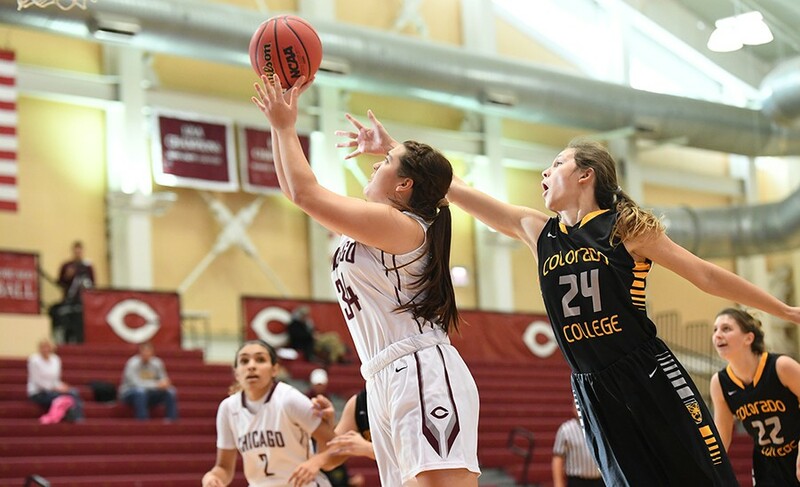 Collectively, the Maroons shot 46.2 percent from the floor, made 73.1 percent of free throws, and held the Foresters to 33.3 percent from the field. On the men’s side, they had a less successful season opener, losing to Illinois Wesleyan 81–73. The game started out relatively even, but from the 10 minute mark, the Titans stepped up their game, going on a 18–9 run over the next six minutes. The Maroons didn’t give up, however, and cut the lead from 10 to five by the half. In the second half, the Titans attempted to pull away again, widening their lead again to 10 points, but the Maroons continued to hold on and stemmed some of Illinois Wesleyan’s momentum. In the last five minutes of the game, there were four times where Chicago trailed by just four points. However, they couldn’t quite gain the lead in time, and the game finished with the Titans ahead by eight. The Maroons were boosted by a career-best performance from second-year Dominic Laravie, who posted 19 points and nine rebounds. Fourth-years Justin Jackson and Max Jacobs both earned 11 points. The team shot 52.3 percent from the field and made 7 of 17 three-pointers and 16 out of 21 free throws. The women’s team next takes on Heidelberg on Friday while the men’s team faces Claremont-Mudd-Scripps this Saturday.